A few years ago I fulfilled a fantasy: I rented an old stone farmhouse from a friend and spent a month in the French countryside, writing and learning the language and strolling through fields of sunflowers. At first I thought I would skip Paris—after all, I’d been there before and had seen the famous attractions: the Louvre and the Eiffel Tower, Notre Dame and the Sacré-Coeur and Montmartre. But at the last minute I found an inexpensive place to stay and wound up spending almost ten days in the City of Light, around the corner from a section of town called Village Saint-Paul. The medieval-era neighborhood is made up of a series of interconnected stone courtyards where antique vendors hawk their wares and cats laze in windows framed by lace curtains. I stumbled across a dusty old locksmith shop on the rue Saint-Paul and shared a cup of tea with the proprietor. We spoke of World War II and the rich history of locks and keys, of Jean-Paul Sartre and the fine art of lockpicking. Artists thrive on challenge; on finding new ways of seeing the world and portraying ideas. I’ve been a painter my whole life, and it’s always the empty canvas that calls to me, the facial expression I’ve yet to capture or the beauty that remains just out of reach. Nothing kills creativity faster than getting into a rut. While I enjoy developing my ongoing characters in my current mystery series, and love the chance to revisit them whenever I begin writing a new installment, I couldn’t repress the tantalizing idea of writing a standalone that didn’t revolve around dead bodies! When I stumbled across that Parisian locksmith shop, I knew I wanted to write a novel about it—and I knew, deep down, that the story wasn’t a standard mystery. It was time to challenge myself to write a different kind of book. The hardest part about writing women’s fiction for me was finding the form of my novel. In mysteries, the plot skeleton is clear: someone dies, the protagonist investigates, clues are discovered, and finally a killer is unmasked (signaling the end of the main narrative.) But with women’s fiction, I had to figure out how to give my story structure—to find its beginning, middle, and end. Where to start, how to propel the storyline forward, and perhaps most difficult of all: how to know when the story’s over. In The Paris Key, I alternate the stories of my main contemporary character with her mother’s perspective from thirty years earlier. The process of the protagonist reinventing herself in Paris and unearthing secrets from her mother’s past provided the main external plot points to move the story along, while the main character’s sense of self evolves and changes. What I most loved about writing The Paris Key was allowing my tale to meander a bit, slowing the pace and savoring life in Paris. The City of Light is so evocative: whether my character is being seduced by a chocolate croissant, climbing to the top of Notre Dame to visit the gargoyles, or creeping through the tunnels of medieval catacombs, the setting is key. My protagonist interacts with Paris as she would with a human character— and that interaction creates conflict and, finally, resolution. 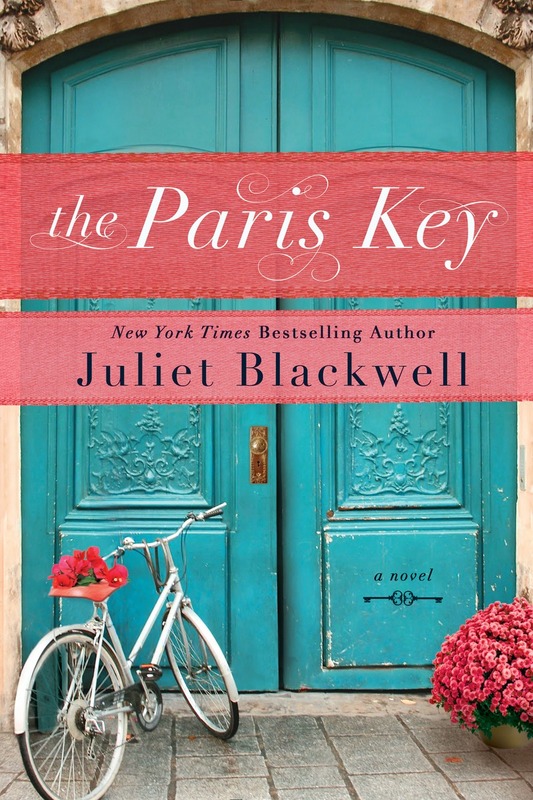 The Paris Key emerged as a tale of reinvention: an American woman, facing divorce, takes on the challenge of moving to a foreign country to take over her uncle’s locksmith shop. In the process, she unearths family secrets, faces some hard truths, and learns to open her heart and mind to the magic of the world around her. In order to tell the story, I had to stretch my writerly wings. Though I include aspects of mystery and suspense, The Paris Key is very much a novel of women’s fiction—and I enjoyed every minute of writing it. I’ve already started on the next one! 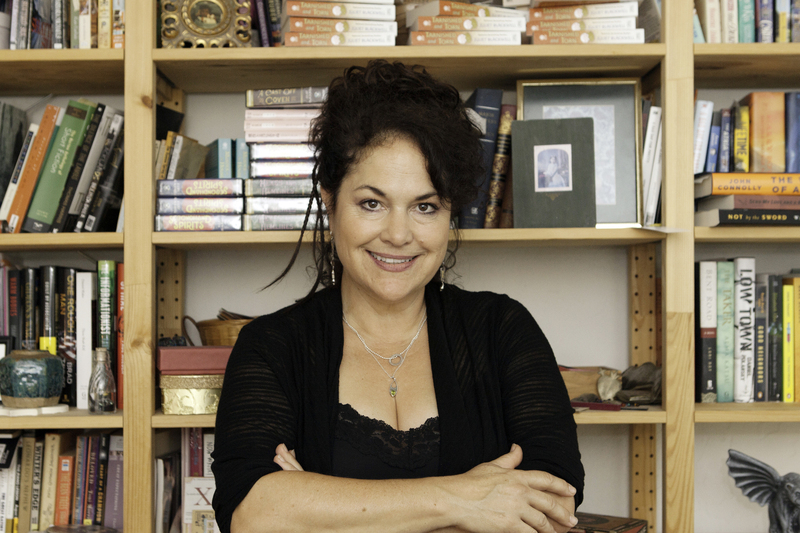 Juliet Blackwell is the New York Times bestselling author of the Witchcraft mysteries and the Haunted Home Renovation mysteries. This is her first work of women’s fiction. She lives in California. Visit Juliet online at www.facebook.com/JulietBlackwellAuthor and www.twitter.com/JulietBlackwell. Thanks Juliet and Amy for the inspiration. I’ve been doing just the opposite — trying my hand at a “thriller” rather than another work of women’s fiction / historical fiction. I wanted to do something contemporary and have to offer to those I meet who say they read mysteries and thrillers. It’s a bit intimidating and definitely requires that you exercise some new muscles. I’m glad to meet someone who has dared to do the same. This story sounds right up my alley. Just ordered it! Thanks, Amy, and congratulations on the release, Juliet! Thanks so much, Kelli! I hope you enjoy The Paris Key!